UPDATE 1 FEBRUARY 2012: Have made a huge overhaul to these goggles, shortening the lenses of the "wearing on the eyes like glasses" version in which the lenses stuck out too long (the "forehead" version still has the long lenses, so that they can stick out through the sim's hair), and also creating three NEW versions: Clear lenses, Sunglass lenses, and Glowing White Lenses. Check out all the new versions on the Download tab and in the new screenshots below! 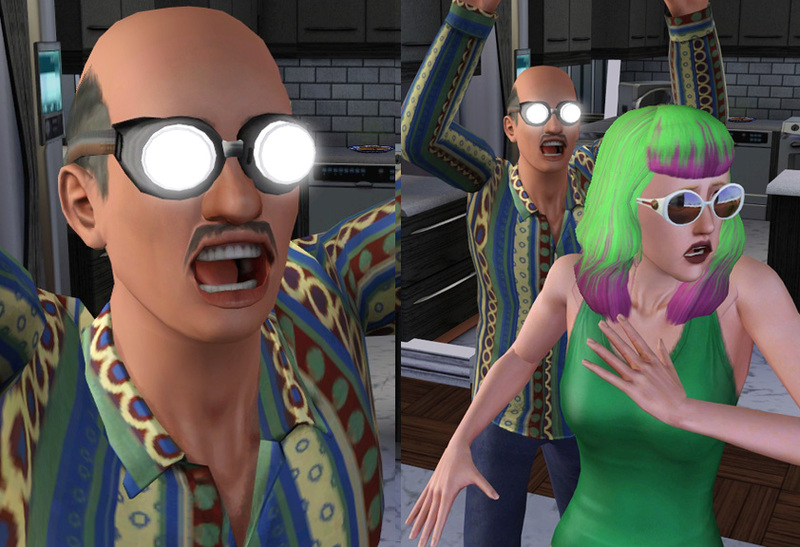 And if you already had the "on-the-eyes" Maxis-stencilled (rave) lenses version with the too-long lenses, please redownload to get the fixed shortened lenses version (new version package inside the zip file is labelled as V2). 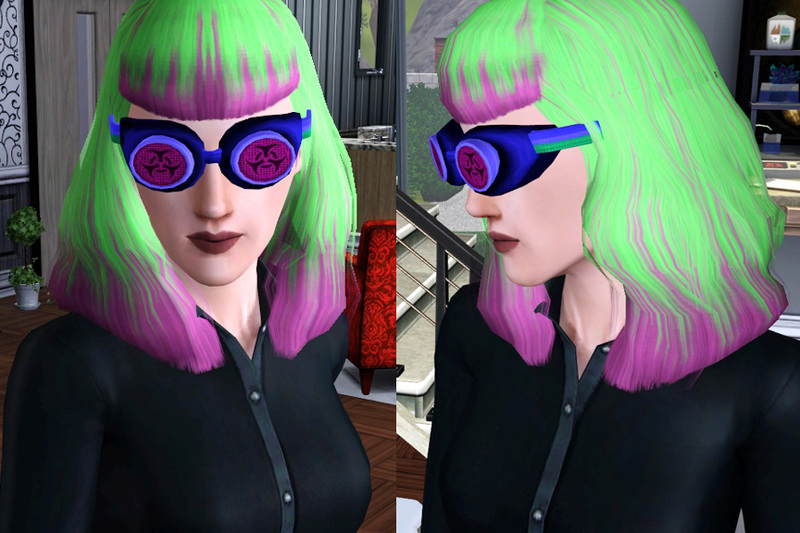 Remember those nifty Rave goggles from The Sims 2, the ones that the Sims wore on their foreheads? 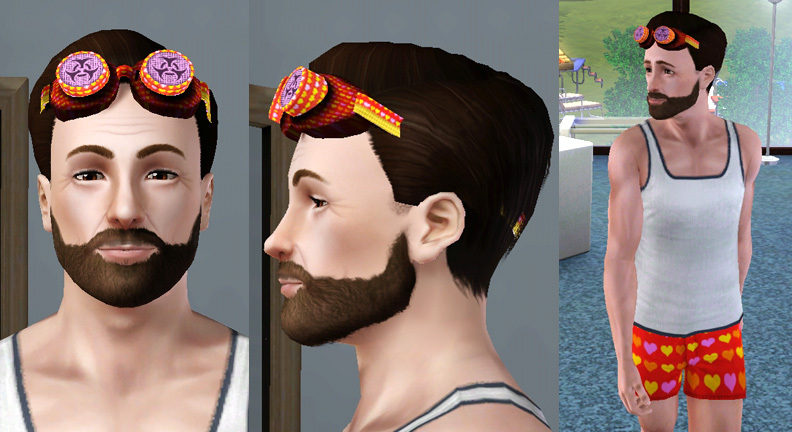 Here's a conversion of them for The Sims 3, in two versions: one modified to be worn over their eyes, and one in the original position on their foreheads. 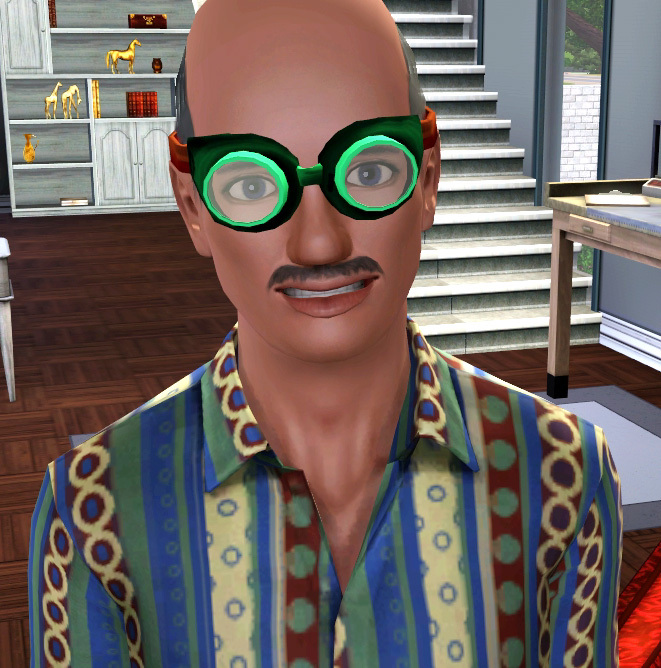 They are found in the Accessories section under Glasses, and are enabled for both genders and Teen to Elder. All versions have three recolourable channels. 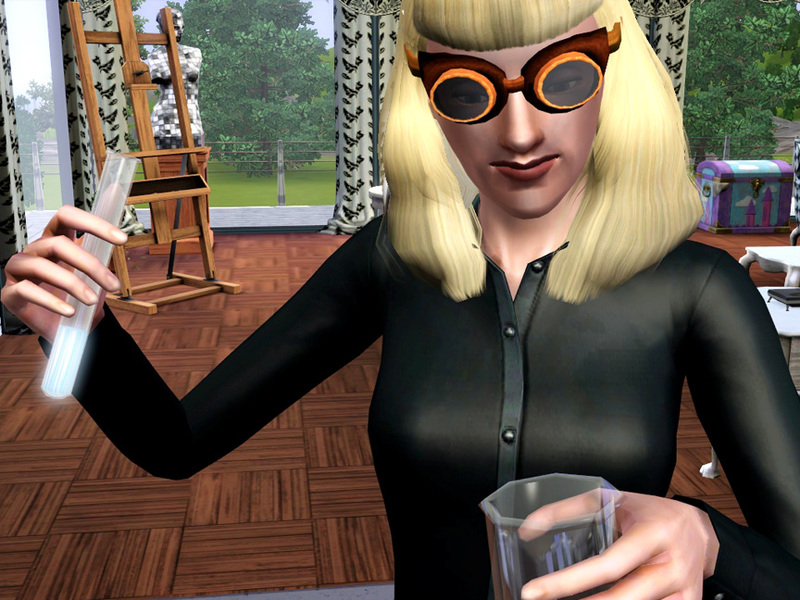 In the Sims 2 Maxis-stencilled lens texture version, the three channels consist of 1) the "lenses", 2) the lens surround (which comes out in a two-tone effect, light and dark) and the top half of the elastic band, and 3) the bottom half of the elastic band. 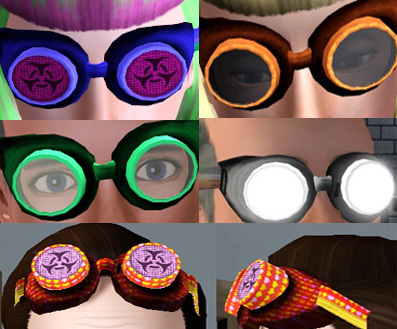 For the "worn on the face like glasses" version of the Maxis stencilled goggles, please see Agnes Crumplebottom in the below thumbnails for pics. As with my other glowing white accessories, you need to have a good video card that supports the glowing effect in order for these to glow - otherwise they will look like a sort of flat shiny grey texture. Thank you for looking, hope you'll have fun with these. Unzip the .zip file, and copy the .package file to your Mods\Packages folder. You only need the one file for both men and women, as it is enabled for both.